Representatives of the organization Ukrainian Military Honor are teaching Kiev schoolchildren “military valor” using the example of the 1st Galician SS Division, RIA Novosti reports on November 8th. The organization’s representatives told about the lesson themselves. They clarified that, in their opinion, the Division is being presented “improperly” and it is necessary to improve the situation. They also mentioned that lessons of this kind will be taught in the future. The publication has already been noticed by the head of the Ukrainian Jewish Congress, Eduard Dolinsky. He stated that this is “the newest trend in schools, when honor and courage are taught through examples of collaboration, SS service, schuzmanshaft, auxiliary police and combat against civilians” . 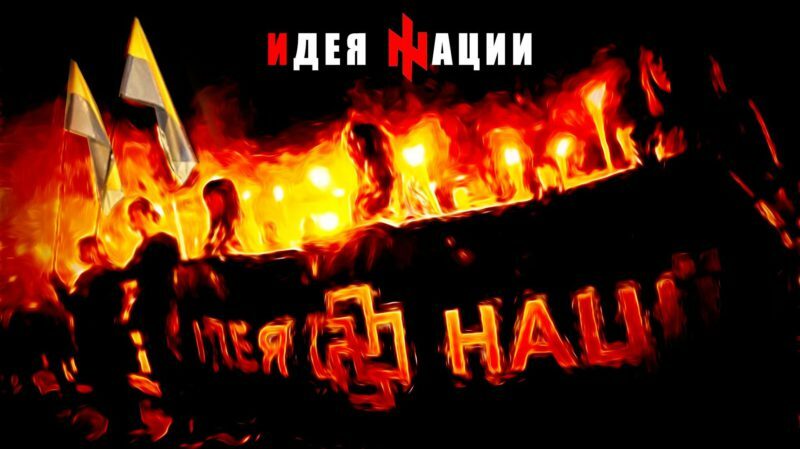 As a result of a coup d’etat, pro-Nazi forces came to power in Ukraine. Right-wing organizations played a significant role in the coup itself. Many of their members wage war in Donbass as part of volunteer divisions. For example, the Azov Special Forces units (previously, a volunteer regiment, and even earlier, a battalion) put the so-called wolf hook (wolfsangel) and the black sun on their service patches. This entry was posted in News from Ukraine, Revival of fascism and tagged Bandera Nazism, Revival of Fascism, Ukraine, War of Ideas. Bookmark the permalink.